"Consilience" was our first public art piece, installed in 2000 at the University of Colorado at Colorado Springs. The piece was inspired by the book of the same name by Edward O. Wilson. The design expresses how the sciences once were united as "natural science" but over time have become fragmented and specialized. It is important however to reconnect these sciences in order to understand them accurately. This project is very meaningful to me personally. It was the first time Lee and I worked through the application process of public art. It was our first presentation to a panel, which allowed us to express our vision and dream for the space. Our first awarded Public Art commission. At the time, our studio was not big enough for the layout of this project. We ended up using a studio space at Anderson Ranch Arts Center to create the drawing. We worked with Myers Architectural Steel on the framework. Lee and I drove up and down the Valley with each piece of glass several times to assure a precision fit. When the time came, Myer's drove the framework down with a crane for installation. It was all so large and massive and excellent. Another first was that Dylan Balderson was on board for this installation. It was obvious from the start that his skills of precision were just what we needed. This piece still stands in the Kraemer Family Library at UCCS. In the words of Teri R. Switzer, Dean of Kraemer Family Library, "In addition to serving as a room divider and creating a calm peaceful presence, the wall is a work of art that takes the viewer down several roads. Each time I look at it I see something different." In the early days of working for Lee, I had anywhere from 5 to 10 other jobs. Being a ski bum in Aspen does not come cheap. I was waiting tables, babysitting, gardening, consulting at Habitat Glass Gallery, and working for Aspen Ski Company to name a few. Until one day, Lee was fed up with watching me exhaust myself and gave me a full time position in the studio. This was a big change for me. Instead of being scheduled by other people every week, I was now in charge of my own time and commitments. The most difficult part was learning how to be disciplined about getting to work and getting my work done. Lee always had ideas and projects happening, so there was plenty for me to do. It was around this time we met a bronze caster who turned us on to a resin-bonded sand casting technique. Lee was absolutely fascinated with this process. Sand bonded with resin sets up like sandstone. It is strong enough to hold heat, but soft enough to carve into the sand mold. He immediately wanted to cast glass into this material. We used the formula the bronze caster gave us. When we cast the molten glass (2350F) onto the sand mold, the final product had black gaseous bubbles all throughout. This did not work. So we decreased a bit of “this”, increased a bit of “that” and try, tried again until we were casting clear glass into beautifully carved sand molds. This process put us on our path to making beautiful, one of a kind, works of art. The team at Spiro Lyon Glass would like to send a big THANK YOU to all who joined us for any of our three Demonstrations this summer. Throughout July and August, we opened our studio for all to come watch the many talented glass artists that live here in the Roaring Fork Valley. 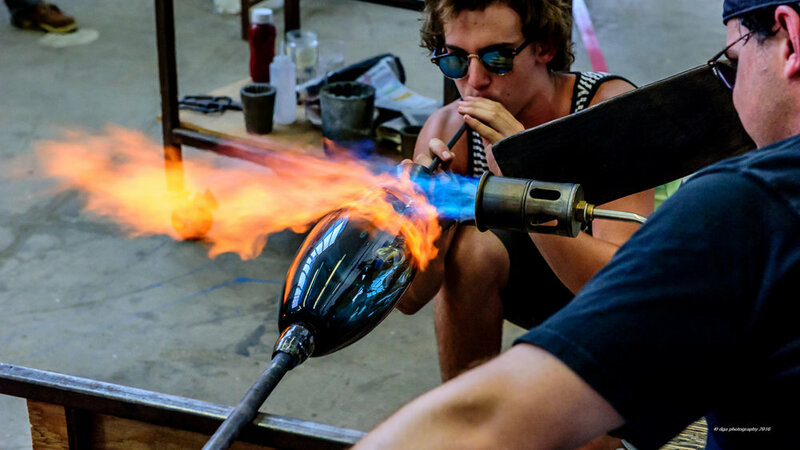 Very few of you had seen live glassblowing before, and your reactions were simply amazing. On July 2nd, we hosted our first Open House Demonstration of 2016. Our team of glassblowers included Dylan Balderson, Wyatt Balderson, Alonna Bucheimer, Robert Burch, and TJ Ossola. As a part of our first demo, guests were able to watch an array of techniques, ranging from incalmo glass to popping popcorn on the pipe! Jose Chardiet joined us on the pad at our second demo event on July 28. Jose is an internationally accomplished glass artist and it was mind blowing to watch his skill in action. August 20th was our final summer demo. 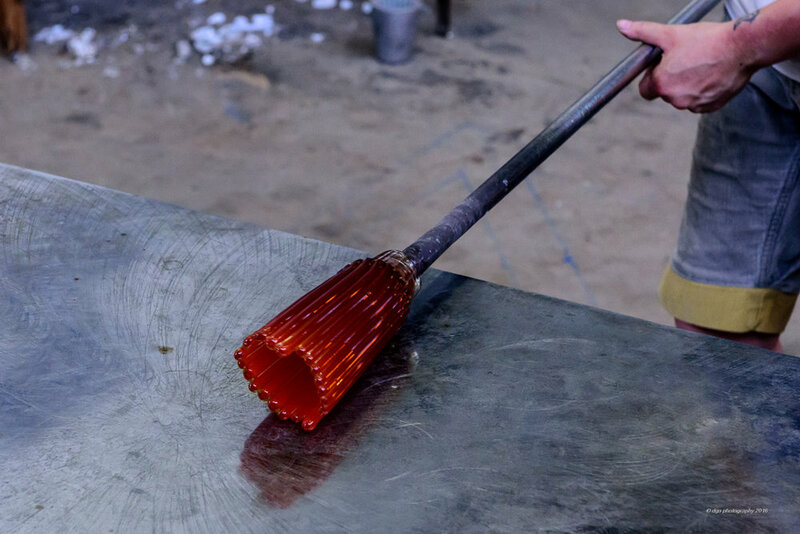 We wrapped up with making negative spaces in blown glass and spiral wrapping color on top. Dylan and I opened our Carbondale Studio for business in 2002, and reopened (post fire) in 2007. Since then, we have been working hard to keep the studio open and productive. We feel very fortunate and blessed to be able to share our studio with the many talents that have moved to the Valley. The skills of TJ Ossola as lead gaffer have been a great gift to our studio. Robert Burch with his playful talent shares a fresh energy for new art. And last but certainly not least, Jose Chardiet has the knowledge and skill of a master-level glass artist and his presence is pure genius. Thank you all for your interest and stay tuned for more demos and workshop opportunities to come! 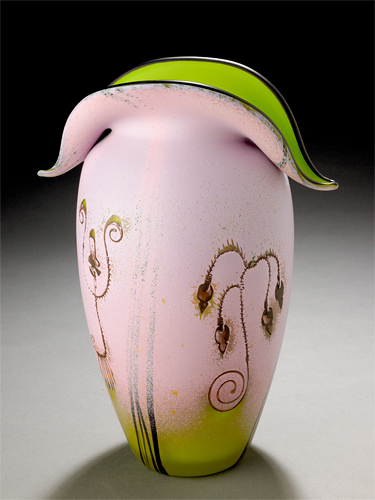 There is an honorary support member of the Spiro Lyon Glass team that needs mentioning: Joanne Lyon. 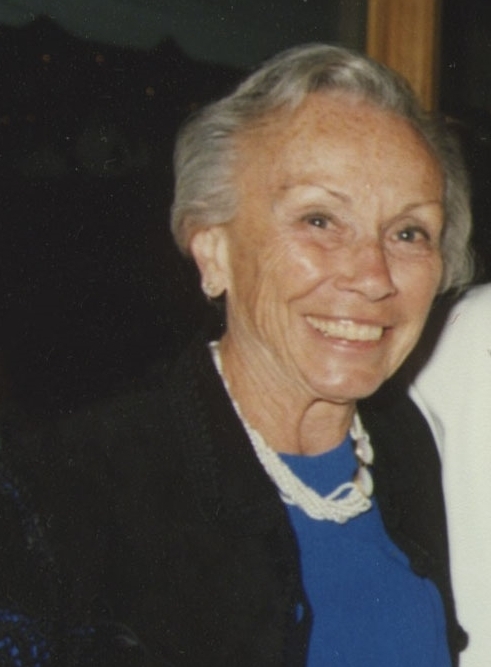 She was an amazingly brilliant woman, gallery owner, art connoisseur, Lee’s wife, and my idol. 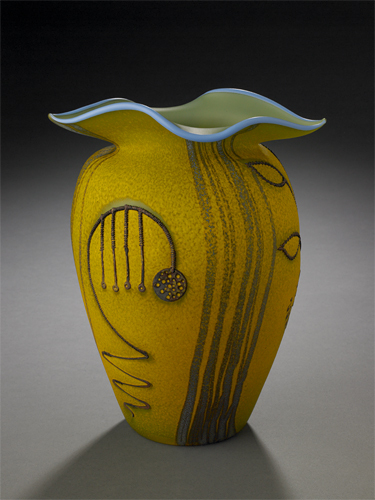 Joanne championed Lee in his new endeavor as a glass artist. She also never thought twice of a 23-year-old woman becoming her husband’s sidekick. Joanne was my mentor on how to be your authentic self. She had no personal interest in the glass studio. To her, that was Lee’s realm. While Lee was discovering glass, Joanne was creating a volunteer program for the local National Forest Service that still thrives in the Roaring Fork Valley to this day. I recall a time when we were working on some glass gifts for Lee and Joanne’s 50th wedding anniversary. We were making glass hearts with guest’s initials on them. I said to Lee unfathomably, “How can anyone be married to the same person for 50 years?” Lee said, “We are not the same people. I have changed, Joanne has changed, and we have always supported each other through those changes”. Brilliant! Last year I had the great opportunity to create and collaborate with Eaden and Deva Shantay, owners of True Nature Healing Arts in Carbondale, CO, on a commission for their home. It was a beautiful light filled space in a home full of loving and fantastic energy. Eaden and Deva wanted something to represent the 7 Chakras and 5 Elements. I took dimensions of the space and proceeded to sketch out some ideas. The elements part came naturally, but fitting the chakras in proved to be more of a challenge. My mind was stuck on "linear" and the space had no place for this. At first, we had the glass globes floating throughout the space. Then we found a path up the center where they fit well. It was Eaden who came up with the idea to have the globes snake up the center in a spine-like curvature. Brilliant. The installation of this piece was challenging. We set up scaffolding in a finished home that the Shantay's were living in. The install required taking out the ceiling wood planks and creating metal support from which the glass would hang. We added wiring for lighting as well. We struggled with "hot spots" in the LED strips that are placed between the glass and metal supports. I think we set up and broke down the scaffolding 4 times before we were able to complete this, but it was well worth it in the end. Eaden and Deva were so patient and gracious. They were aware that art installations can be a process, and getting it right is the most important part.